The Spring of 2013 will go down in the history of Colorado’s tech community as one to remember, with a breakthrough IPO, a nice exit for a leader in the historically vibrant data storage industry, major investment in two startups, and new life for one of the area’s leading biotechs. Here’s a quick recap of what we think are the five top stories of the recently completed quarter. 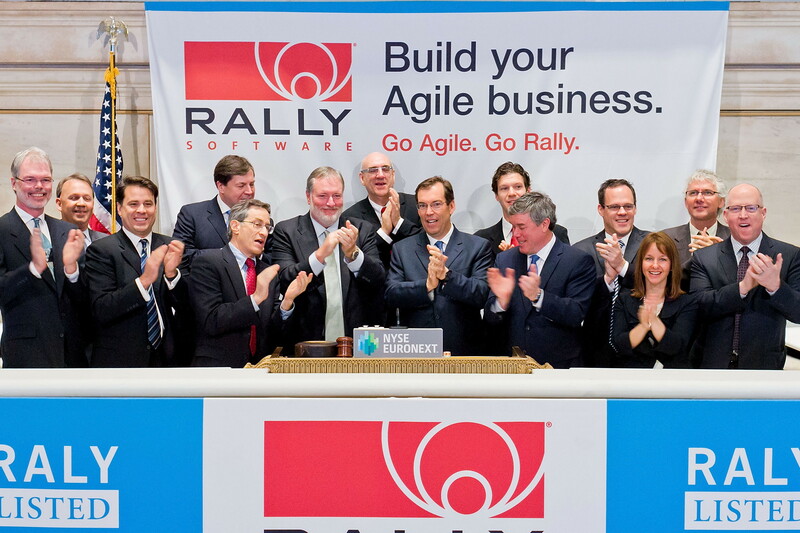 RALLY’S RISE: Rally Software Development kicked the quarter off right with an $84 million IPO on April 12. A team of Rally execs led by CEO Tim Miller and founder and chief technology officer Ryan Martens made the trip to Wall Street, rang the bell to open the New York Stock Exchange, and watched the shares of their company immediately jump 30 percent above the $14 per share it was priced at. But that was just the start of it. The stock continued its strong performance, closing the quarter at $24.82. The boost came after Rally posted higher than expected revenue in its debut earnings report. Rally’s market cap is now $560.6 million. Rally (NYSE: RALY) has deep roots in Boulder. Martens founded the company, then known as F4 Technologies, in 2001. The company grew into one of Boulder’s leading tech companies, and it announced last week it will expand its headquarters in the city. The company also has deep ties to investors in the community, with much of the early VC support coming from local firms. Mobius, Boulder Ventures, and Vista Ventures were investors. Rally’s IPO and subsequent success is emblematic of several concurrent trends, including the return of mid-sized IPOs for software companies. Locally, Rally’s success means something more, as the company is the first Colorado software firm to go public in a long time. Rally’s success shows that companies can mature from startups into successful public companies without having to leave home. NEXGEN SNAPPED UP: NexGen Storage might have been another one of those companies. We won’t know, though, because Fusion-IO (NYSE: FIO) snapped up the Louisville, CO-based data storage company for $119 million in mid-April. Despite only being founded in 2010, NexGen had a solid legacy in Colorado’s data storage and networking industry, a sector that helped establish the tech industry in the Boulder area. NexGen was founded by veterans of LeftHand Networks, which HP bought in 2008 for $360 million. For the record, NexGen wasn’t the only Louisville-based company snapped up this year. In February, F5 Networks bought LineRate Systems for a reported $125 million. LineRate develops software-defined networking technology. GROWING STRONG: Grotech Ventures, an early stage VC firm that’s playing an increasingly important role in supporting Colorado startups, announced it had closed a new $225 million fund in May.